As we entered the new year, I knew it was the end of the road for me and my skanky yogurt-pot of a car. On a recent family trip to visit the in-laws in Scotland, I was seduced by the smooth, easy ride of an automatic hire-car that we picked up from the airport. I had a hunch that driving an automatic might change my life. I was right. That’s what they used to say about long-division and milking a goat. In that case, my two-year-old twins are perfectly qualified to get behind the wheel. Tell that to the person whose driveway I once got stuck in doing a 6-point-turn on an incline. Fine. My husband is a terrible navigator anyway. No more driving in first gear whilst struggling to thank a driver behind me with the customary three flashes of my hazard lights. No more sounding like a Formula One driver just to find the biting point. Such a cultural aversion to automatic cars has never really taken hold in the U.S. and it probably won’t be long until the U.K. follows suit. Automatic cars are already becoming more and more popular and with constant advances in technology, the time will come when we won’t have a choice. Switching to an automatic car isn’t always the right thing for someone with driving anxieties. A friend of mine, also a nervous driver, told me she actually feels more secure driving a manual car because the gear changes help her manage her fear of accidentally speeding up and knocking someone over. But for me, it’s been a complete liberation. As I drove my family around the picturesque countryside of the Scottish Highlands, I was free from the constant preoccupation of forgetting which gear the car was in. No more touching the gear stick every 30 seconds to remind myself before promptly forgetting again. No more driving in first gear whilst struggling to thank a driver behind me with the customary three flashes of my hazard lights. No more sounding like a Formula One driver just to find the biting point. Not only could I concentrate on traffic, lane changes and other drivers, I also enjoyed the beautiful vistas and huge skies. And best of all, once the holiday romance was over and the keys to the automatic were handed back to the car-hire guy, I came home with such a huge confidence boost that I found myself driving my crappy old stick-shift much more regularly and with much less stress. Having said that, I still hate it. It’s over. I have decided to trade it in for an automatic car this month and I’m looking forward to becoming a proper driver this year; running errands with the kids and nipping out to pick up groceries, maybe even driving up the motorway to go on family adventures (if I can get used to sat nav, that is). So, that’s it. This little blog-journey is over and it has been hugely enjoyable to write. I’m off to finally clean the moss off that car and get it spruced up for the car dealers. Thank you if you followed my story – wishing you a very happy new year full of new adventures! Against a backdrop of toddler chaos, a sleep-deprived mum of twins attempts to befriend her hand-me-down car and overcome her fear of driving. Follow the highs and lows of her journey back on the road. 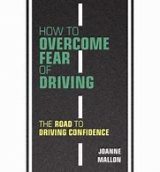 Nell Jerram is an actor, writer and freelancer based in the U.K.
Are you a know-it-all motorist with advice to share? A clever expert on anxiety and phobias? Or just a terrified driver, like me? Whoever you are, feel free to say hello.